1/ Just put your gold or precious metals in a packet/box and post it to us via Royal Mail's Special Delivery Service via your Post Office . The cashier will weigh your items and you should have an idea of how much insurance to ask for (Use our gold price calculator if in doubt). Items are insured for £500 standard but you can pay for extra insurance for a couple of pounds up to £2500. If your items are worth more than that then please send them in more than one parcel. 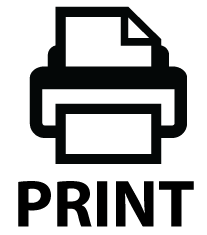 2/ Use our secure online print form click here. No details are recorded online, so your information cannot be hacked. Include it in your parcel or if you don't have a printer just include a note detailing your name, addresss and day time phone number in your parcel. Please ensure all your details are correct. If you have a mobile phone number then please tell us. Most importantly tell us how you want to be paid ie cheque, paypal, or transfer . There is a section on our form for this. 3/ On receipt and within 2 working days we will work out the value of your gold or precious metals and phone you with information about the weight, & purity . We will make you an offer based on our gold and precious metals price calculator, which is based on the London fix for gold. If we can't get hold of you we will leave a message, but please as we are very busy only post to us if you can be contactable within a day or two and please check your messages. Otherwise it will delay our service to you & of course payment. 4/ Once we have spoken to you and confirmed you are happy we will either make a transfer via our Bank or if you prefer we will send you a cheque via recorded delivery within one working day OR pay via Paypal. 5/ Of course In the unlikely event that you refuse our offer we will post all your items back to you at our cost!! We promise you the very best and fairest customer service. PLEASE NOTE We no longer pay cash for postal gold, silver and platinum items. We offer bank transfer or cheque, in line with new industry standard practice guidelines Payments are usually within 24 hours but occasionally can be delayed by random bank security checks. Also please note any unhallmarked or foreign hallmarked ie items that are not fully English hallmarked will be tested. This may leave a small test mark on Jewellery, which can be polished out by your local jeweller. What if The Gold price Changes? As many professional companies do, we mainly base our prices on the London Gold Fix price for silver which is set at 10:30am. The percentage we pay for your gold will be the price our gold and precious metals price calculator shows when we receive your items. We will then telephone you with an offer for your gold. If the price for gold has risen we will offer you more and if it has fallen the offer will be less. If in the unlikely event that you decide NOT to accept our offer for your gold, your items will be returned to you by special delivery without charge. Can I Trust You With My Gold? What if My Items are not Gold? For transfers It would be over-promising to say that it will be the same day in 100% of cases BUT that is our aim. Occasionally our Bank likes to do random security cheques, which delay matters by a day and sometimes its Friday PM and Banks don't make transfers on a Saturday BUT in 90% of cases it is within 24 hours . Cheques are usually the following day via Recorded delivery but occasionally if we are very busy it takes an extra day.